Speak Up America 2015 is now closed. Thank you to all who participated in our weeklong event. Since 2003, the annual Speak Up survey has collected data from students, parents, educators and the local community about technology, learning, and schools. On Monday December 7th, Project Tomorrow kicked off “Speak Up America 2015,” a weeklong event that celebrated past, present, and new Speak Up participants. This event a daily release of Speak Up 2015 preliminary data snapshots, recognition of top participants and opportunities to win free conference registrations and multiple chances to receive a classroom or school grant! Free Regional Conference Registrations to CETPA, CUE, ICE, NCCE, NETA and TCEA. How Does Your State Compare? View the “Are you Speaking Up” state participant map to see where your state falls. Thank you to everyone that donated 15 minutes of their time for the future of education on National Speak Up Day! The highlight of the Speak Up America 2015 Campaign took place on Wednesday, December 9, 2015 with National Speak Up Day! National Speak Up Day was the day to encourage participation, with a special opportunity to win a free 2016 ISTE Conference registration. Thank you to everyone that participated not only in National Speak Up Day but also in the entire Speak Up survey period! Our annual Speak Up America Photo and Video Challenges were as popular as ever, with five opportunities to win a $225 classroom/school grant. In order to enter the challenge, all participants had to do was take a picture with the Speak Up 2015 participant badge or film a 15-30 video answering the question, ““Why is using digital tools for learning important for your (students’) future?”, and then post to one of our social media accounts (Facebook, Instagram, Twitter) or by email with the hashtag #SpeakUpsnapshot (photo challenge) or #VoicesofSpeakUp (video challenge). Click here to see all the 2015 photo entries. Congratulations to Brevard County School District in Florida for winning the free BbWorld 2016 registration! We hope you have a wonderful time at the conference from July 12-14, 2016. Big thanks to Blackboard, Inc. for making this happen! We are thrilled to award Baltimore County Public Schools in Maryland the free CoSN 2016 Annual Conference Registration (a $649 value for non-members)! Thank you CoSN for all of your support! Congratulations Tomball ISD, TX – you’ll be heading to the 2016 iNACOL Blended and Online Learning Symposium from October 26-28!Thanks again to iNACOL for providing the free conference registration! 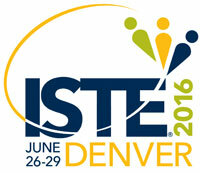 Thanks to our good friends at ISTE, we are thrilled to send not one but two districts to this year’s conference and expo in Denver, CO! Congratulations Klein ISD, TX and School City of Hammond, IN! California and Nevada Districts: Our good friends at CUE offered not one or two but THREE free conference registrations and memberships (a $320 value each) to two California districts and one Nevada district! Congratulations to San Marcos Unified, CA, Centinela Valley Union High School District, CA, and Washoe County SD, NV! Nebraska Districts: Congratulations, York Public Schools in Nebraska on winning the free NETA Conference Registration! Big thanks to NETA for providing the free registration! Texas Districts: We are thrilled to award the TCEA Conference registration to El Paso ISD, TX! Congratulations! Thank you once again to TCEA for providing the free registration. NCCE Conference: Our friends at the Northwest Council for Computer Education graciously offered a free NCCE conference registration ($375 value) for their upcoming February 2016 conference in Seattle, Washington. We are pleased to announce Sumner School District in Washington as the recipient of the free registration! Poway Unified, CA will be heading to the CETPA Conference in Sacramento with their free registration! Thanks CETPA, and congratulations Poway Unified! Congratulations, Elkhart Community Schools in Indiana for winning the 2016 Indiana Connected Educators (ICE) Conference registration! Big thanks to ICE for providing the free registration! Was state one of the top Speak Up states? Check our Project Tomorrow Homepage (www.tomorrow.org) or Speak Up participant map page.